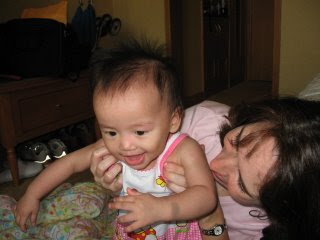 This is sweet little Grace, the first baby to be united with her new family. Her mother, Lisa, made us all laugh when she told us that she learned to say in Mandarin, "Come with me and I'll give you candy." Notice the lollipop in her hand. Next came Julia, who wins the best hairstyle contest with her 3 bouncy pigtails. She has three brothers, one just a few months younger than her. They'll be in the same grade in school. Instant twins! And the girl we've all be waiting for--Jin Qiu Ju! She has since gone to all of us, but she just wanted Dad at the Civil Affairs Office. Barb and Rick's daughter, sweet Qiu was next. 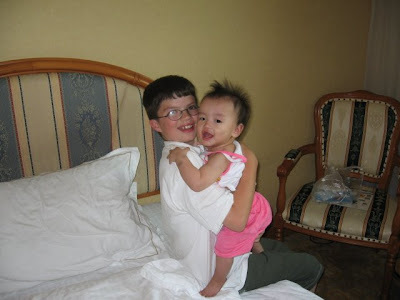 She has a sister, Min, just a year older and also adopted from the Guangxi province. 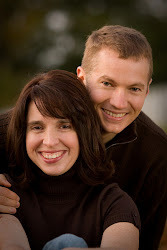 Here we are with the Corrbetts and "Summer Fun". 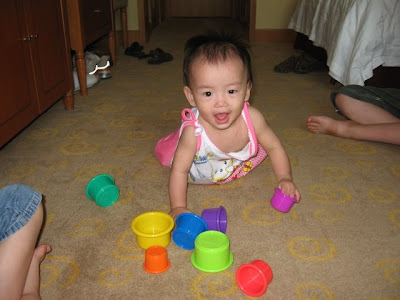 She just turned one year old and is also from Guiping. Back at the hotel, Maya explored her new surroundings and checked out these strange new Americans. She is a delightful baby. How can you not love this smile? We never expected such a social baby on our very first day. We are all smitten. Abby you will absolutely love your new sister. Adam waited a long time for this girl and they took to each other right away. I'll be curious to know if there was a brother in her foster family. She seems to prefer the boys. Madeline and I are trying hard not to take it personally. We owe her foster family a debt we can never repay. 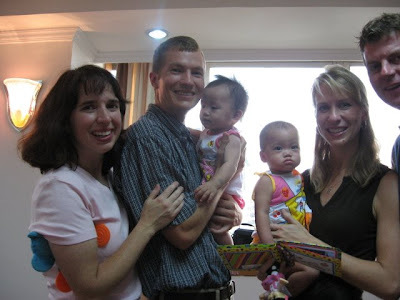 This baby was obviously loved and was ready for her forever family. 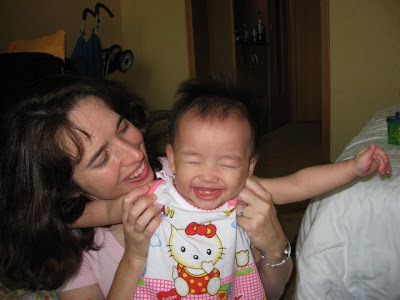 We felt that there was a baby girl in China who needed us, but I think we needed her too. So many prayers have been answered today. Goodnight from a very happy family.